Details are up at B-Mobile for the Fair 1 GB SIM product. Unfortunately, this is currently data only, so it would be good for an unlocked tablet, but not a phone. (B-Mobile does offer a VOIP 050 service, but it is only available for the IDEOS.) There is also no microSIM. For HTC Android 1.6 firmware, this product is not listed as compatible, so ht-03a users will need to root their devices and up/downgrade to 1.5 or 2.2. Price is ¥9800 for 1 GB that can be used over 4 months. 8,350 per GB additional. A credit card will be required for charging. No details whether the SIM can be purchased C.O.D. to a courier. If the SIM is not used for 2 months after the initial charge runs out, it cannot be recharged and a new one must be purchased. Charging can be done though the B-Mobile website or with the android app bCharge. B-Mobile recommends the Auto Airplane Mode app to use the charge sparingly. Though of course you will get no push notifications when using this. When used an in iPhone 3Gs, there is no way to automatically stop background data usage when the phone is asleep, according to B-Mobile. Another way would be to connect to wifi as often as possible. Based on my data usage, if I relied solely on wifi at home and work, I would not use 1 GB in 4 months, bringing my data bill down to 2000 yen per month. Cheers for the clear explanation. Love this site. Keep it up. Blatantly off-topic. Au finally does something right. Does anyone have this phone? How much, and I'm wondering if it has GSM integrated as well. the Adreno 200 chip isn't going to hold up well for 3D apps, and the 5gb cap on WiMax data would rule out tethering for me too. 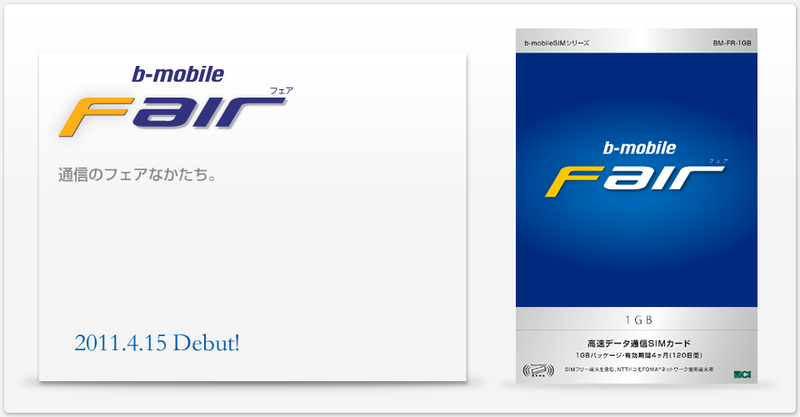 BTW it's not out yet in Japan(late april), although I owned the international model and it was a pretty good phone at the time. Nice screen. On the bright side there's a good chance AU will announce a whole bunch of more up-to-date Android phones this summer. Let's keep our fingers crossed. Thanks for the info. Yea, I have the Desire HD (HDMI-envy aside), so me either. Glad it's basically unaltered. It's about time Au brought in something hackable! If they keep bringing out the leading international models, I might be tempted to go back to them, since the rest of my family's on Au.